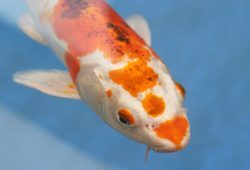 This article is about Caring For Gold Fish Is The Secret To Longevity. Forty-three. What is it that is so striking about this seemingly unremarkable number? Nothing really, aside from the fact that this number is seen by quite a few people as a testament to gold fish care. Why? Because a gold fish has lived for 43 long years, thanks to its owners who knew a thing or two about caring for gold fish. Gold fish lovers know how the story goes: A man named Peter Hand won a some gold fish in a game of roll-a-penny at a funfair in Doncaster, South Yorkshire, way back in 1956. Though both fish reached what most consider to be the ripe old age for gold fish, one of the two lived a lot longer than the other. His name was Tish, and he more than doubled the lifespan of his companion (Tosh) by living an astounding 24 years longer (Tosh died in 1975, making him 19). Tish’s incredible run ended in 1999 after he fell victim to a short illness, just a year removed from being recognized as the world’s oldest gold fish by the Guinness Book of World Records. Tish’s story is often told in fishkeeper circles, as much for its inspirational nature as for its power to refute the widespread misconception that gold fish only live a couple of years at most. 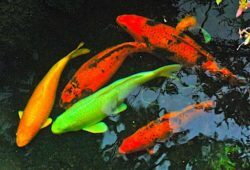 As the Hand family has proven (twice, I might add), all it takes to ensure your fish lives a long life is to know the basics of gold fish care. Without the Hand family caring for gold fish the way they did, there was no way that Tish or Tosh would have hit double-figures in age, much less live as long as they did. 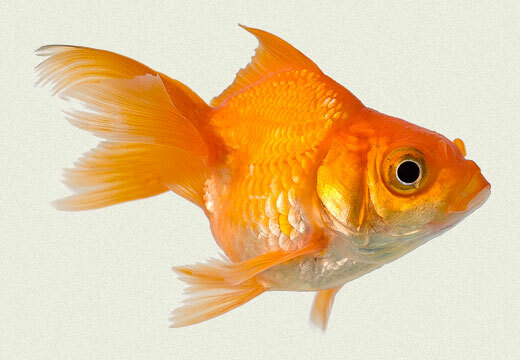 Fact is, gold fish have a natural lifespan of over 10-20 years. This usually comes as a big surprise to those who already have some (and I stress the word “some” here) experience in caring for gold fish, since most people who have had gold fish in the past had them dead within a year. Heck, there are others who even manage to kill their fish during the walk home from the pet store. These people should open their eyes to the reality that gold fish have an unusually high mortality rate not because that is what nature intended, but because people who take them as pets generally do not care for them as well as they should. Which is really sad, considering that caring for gold fish doesn’t really require much work, but a bit of know-how. Hilda Hand, Peter’s mother, claimed the secret to Tish’s longevity was feeding him enough (but not too much), and letting him bask under the sun every now and then. Sound hard to you? 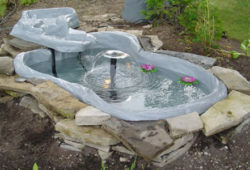 So if you’re still up for getting a gold fish of your own or plan on letting the one you already have live a long and happy life, then the best tip I can give you is to look for more tips on caring for gold fish. Chances are they’ll do wonders for your fish’s lifespan. Only fair, since these fish are well worth their weight in gold, just as Tish was to the Hands.